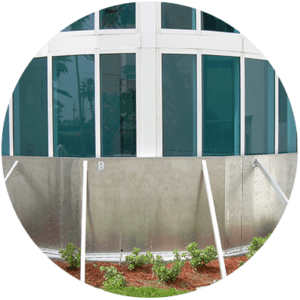 Single Flood Door | Flood Barrier Inc. 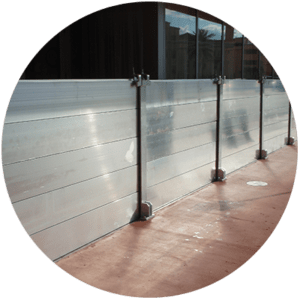 Flood Door-proof security doors are flood proof whenever they are locked, and due to their steel frame and construction they are able to simultaneously operate as security doors. Our new range of flood-proof security doors are flood proof whenever they are locked, and due to their steel frame and construction they are able to simultaneously operate as security doors. Full height flood depths are achievable, depending on the locking mechanism chosen. 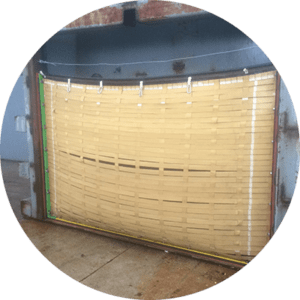 The use of these doors ensures that when a door is locked it is watertight – this removes the need to check if barriers are installed when a flood alert is received. 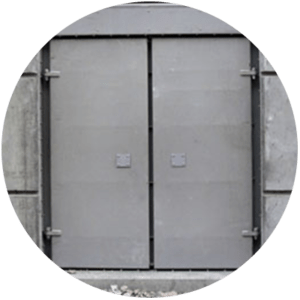 Available as single or double leaf doors, these systems are ideal for use in unmanned locations, such as utility sites, especially where security measures are required. The door leafs utilise 2mm sheet steel and come with a range of locking mechanisms. Doors are supplied insulated and can be 60 minute fire rated if required. Doors and frames are manufactured using galvanised steel and are powdercoated to client’s colour specification. Door manufacture using stainless steel is available where requested. The doors utilise adjustable seals that are adjusted upon installation to ensure the correct level of compression is applied to the seals. Doors can incorporate windows or ventilation grilles. Can be installed on the face of walls, or recessed. Flood protection heights to full height. Single or double leafs available. Range of locking arrangements available. Can be used as escape doors. Finished to any RAL colour as required. Flood-proof door and security door in one. Can be mounted to open inwards or outwards with no loss of flood protection. Suitable for constant daily use. Single flood doors available to 1100mm width and 2400mm height. Double flood doors are available with demountable centre mullion to 2500mm width and 2400mm height. Removable or liftable overpanels available where increased heights are required. Low profile threshold for situations where doors and frames are installed in existing accesses. Face mounted frames enable unrestricted accesses. Inward or outward opening doors available. Doors and frames require adequate walls either side and a flat surface to seal against. Doors and frames provided with all sealants and fixings required. Quality Management System is accredited to BS EN ISO 9001:2008. Each installation is individually designed and backed up by full Professional Indemnity Insurance. Manufactured and tested to exceed DIN19569-4. Steel sections manufactured to EN10027. Stainless steel sections manufactured to EN10088. All fixings Load Rated Hilti™ or Fischer™. Combined flood-proof door and security door for outward opening situations. Option to provide doors with 60minute fire rating where required. Flood protection: FSD1 Suitable for outward opening doors where water pressure is on the hinge side of the door. Doors flood-proof to full height depending on locking mechanism chosen. Doors to be tested to full hydrostatic head of water against the requirements of DIN 19569-4. 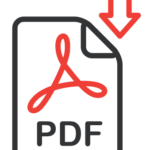 Security: FSD1 doors to be tested to meet the requirements of LPS 1175 Category 4(TBC). Doorleaf: 54mm thick, 1.5mm /2mm Zintec steel skins and insulated core. Frame: 4mm pressed steel profile. Security strip to outside perimeter of door. Weather strip above door leaf. Each leaf to be hung on a minimum of 3nr HD stainless steel hinges. Hinges to incorporate ‘dog bolt’ protection. Double doors to incorporate removable centre mullion. Sill: As frame profile. 40mm high sill can be rebated into threshold either 15mm (internal or face fixing)or 40mm(face fixing only) as required. Fixings: Hilti Load-Rated fixings through internal face of frame to masonry/ concrete walls/ floor. Seal: Adjustable seal holder with tubular chloroprene rubber seal. Seal position fixed after fitment of door and frame to ensure watertight seal and correct compression when closed. Finish: Door leaf and frame powder coated. Powder coating to any standard RAL colour. Max Size: Height to 2950mm. Heights above 2950mm to incorporate a removable transom and overpanel. Widths-single door width to 1300mm, double door width to 2500mm. Keyed access and D-Pull handle to outside, panic bar set and push plate to inside. Single point locking. Keyed access to incorporate armoured escutcheon. Lever handles to both sides, three point locking . No access from outside, panic bar set to inside. Garage type door stay to top of leaf. Emergency Exit Signs Rigid photoluminescent Emergency Exit signs to be provided in accordance with the Health and Safety(Safety Signs and Signals) Regulations 1996. Earthing: Door frame to be connected to nearest available earthing point. Bond to be provided between door frame and each door leaf.